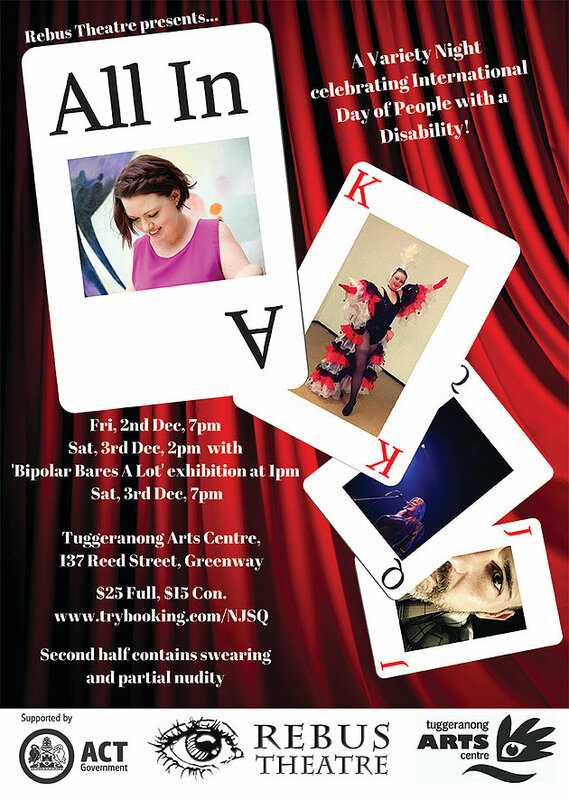 All In – a variety night featuring music, theatre, circus and burlesque with a focus on quality performances. There will also be a wide variety of themes and genres from comedies about anxiety, to heartfelt music, adapted fairy tales and tales of family woe. Canberra is the home of many spectacular artists, many of whom are also people who live with a disability. That’s why Rebus Theatre is producing All In for International Day for People With a Disability 2016.